Alum-A-Uke: is hand-crafted in the USA and designed for superior sound, durability, playability, and its impressive appearance. 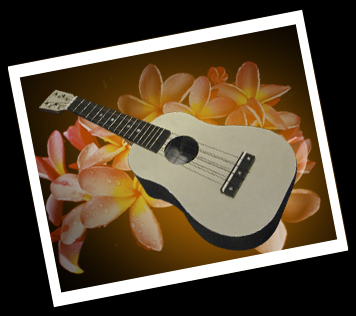 Alum-A-Uke: is constructed of 6061 hardened aircraft grade aluminum, hand polished to a gloss finish. response and tone possible. This ukulele features excellent tone quality and volume, easy playability, an adjustable saddle for fine tuning intonation, and bolt on neck to allow for adjustment or replacement. For us Alum-A-Uke began as a dream to create a top-quality ukulele that could be taken anywhere. After playing ukulele for several years we wanted to take our ukuleles playing from the house to parties and outings with friends, but we faced a problem, the better the ukulele the more delicate it was, the more rugged the ukulele the harder it was to play, We wished to create a rugged, beautiful, easily playable, and excellent sounding ukulele. After 3 years of research we finally succeeded in our goal. Seeing an opportunity to share this unique instrument with ukulele enthusiasts, as well as pursuing a goal of inspiring small American manufactures and inventors, Our group set about making this a reality. We are dedicated to producing the best quality ukuleles possible in the original spirit and intent of the original makers of this fine little instrument, to make a fun, heart-warming and portable instrument capable of bringing music and joy into people’s lives. Copyright © 2010 Alum-A-Uke® ALL RIGHTS RESERVED: DESIGNED BY Twilight Studio.